The ultimate design that would make you feel like a royal. This pendant is the contemporary translation of a classic Italian design. 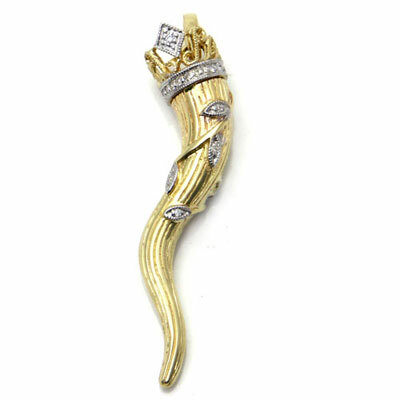 The golden horn and crown on top create a magnificent look, which is perfect if you enjoy attentions and admiration. Moreover, there are some nice details on the pendant as well, decorated with diamonds. You will not only look like a royal, but you will be treated as one too.